In the just published Special Issue of the Handbook of the Birds of the World (Lynx Edicions), 15 Amazonian species new to science are described. This includes the splitting of the Striolated Puffbird (Nystalus striolatus) complex into three species, two of which occur in Bolivia. 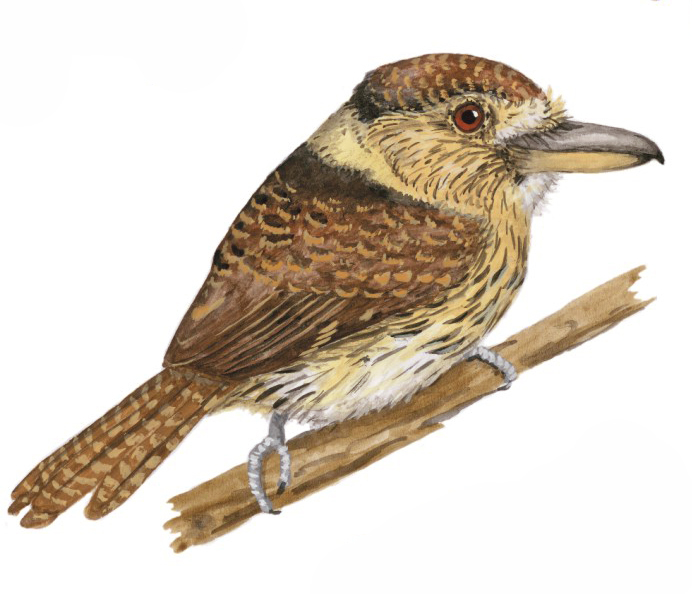 The name of the newly described species, which occurs throughout most of Amazonian Bolivia, is Western Striolated-Puffbird (Nystalus obamai), whereas Natterer’s Striolated-Puffbird (Nystalus striolatus) is restricted to Amazonian northern Santa Cruz department (and adjacent Brazil). With this, the ‘official’ Birds of Bolivia list now stands at 1430 species. Of these 1314 are breeding residents, 41 are migrants from North and Central America (austral summer non-breeding residents), 26 are austral migrants (austral winter non-breeding residents), and the remaining 49 species are occasional visitors or vagrants not regularly found in the country.